Wipers Times, a spacious four star holiday house with terrace. Wipers Times, an own spot near the ramparts. A PEACEFUL AND TRENDY PLACE TO STAY IN THE HISTORICAL CITY CENTRE OF YPRES. TO HAVE A GOOD TIME IN STYLE IN THE CENTRE OF FLANDERS FIELDS. Discover the medieval past en more recent war past of Ypres. Enjoy cocooning, relaxing and cooking together. 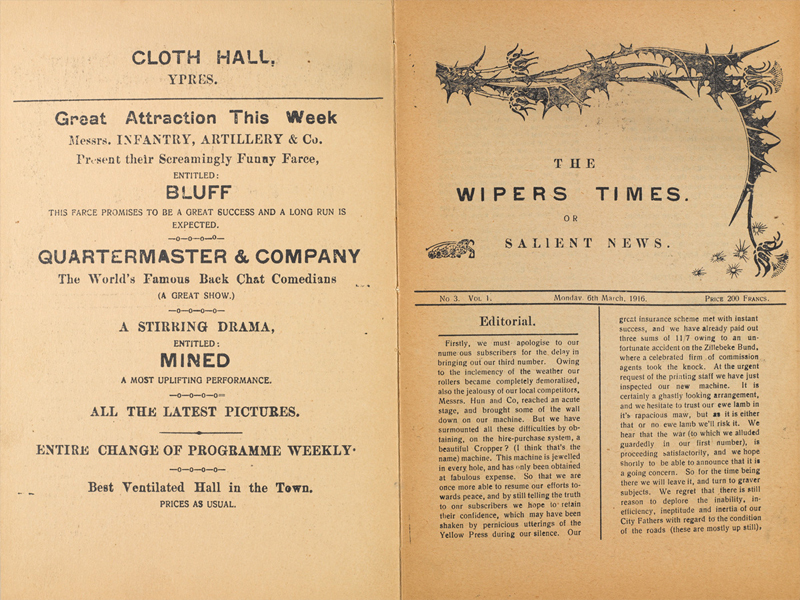 The Wipers Times is a trench magazine that was published between 1916–1918. It was written by and printed by British soldiers in Ypres. ‘Wipers’ was the English pronunciation of the French name for Ypres. On an irregular basis it reported about what happened at the front line through articles, poems, cartoons and fake advertisements. Because of the censure this paper had to find a way of pleasing the public, of not discontenting the army leaders and giving the soldiers a realistic and credible picture of the situation. Being positive was one with having empathy for the soldiers in unworthy circumstances. During the First World War hundreds of such ‘trench magazines’ were printed. 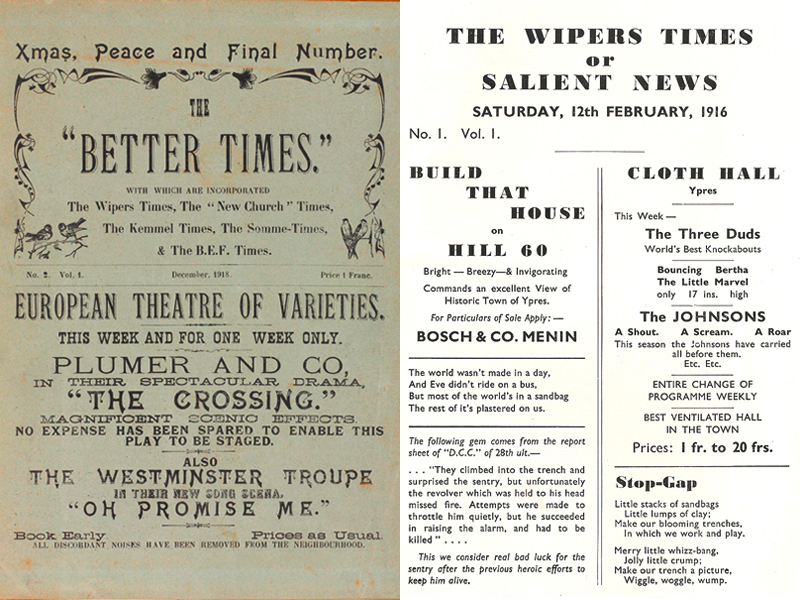 The Wipers Times is considered to be the most remarkable one. The paper travelled with the division and its name was changed constantly: The New Church Times (referring to Nieuwkerke), The Kemmel Times, The Somme Times, The BEF Times (British Expeditionary Force) and eventually, after the armistice, The Better Times. 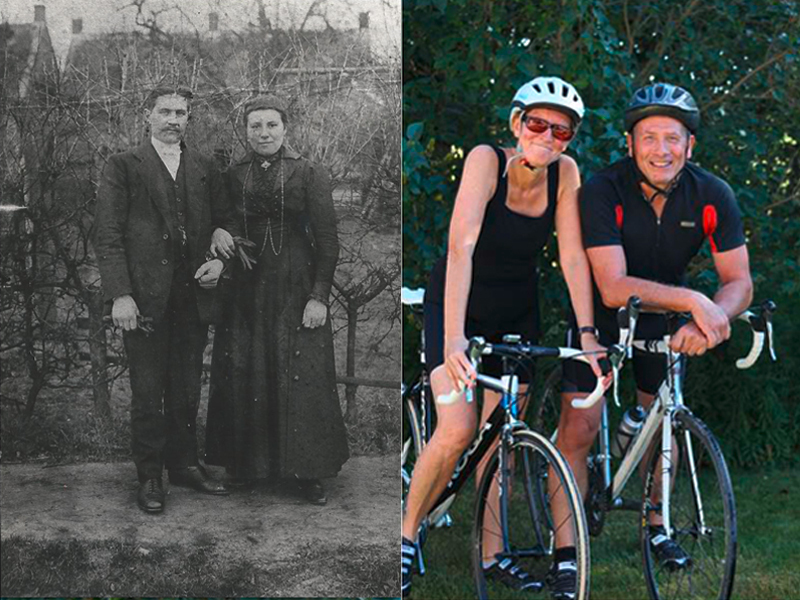 We are the grandchildren of Marie and Arthur who married, while fleeing, during the Great War. The paper ‘The Wipers Times’ inspired us to renovate, decorate and open this holiday home. We wish you a pleasant stay in Ypres! 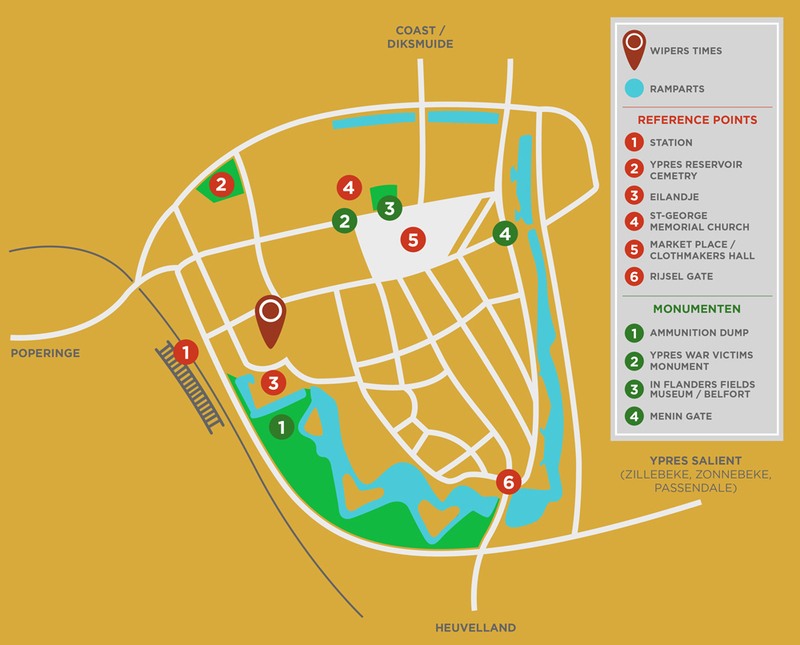 Our holiday home lies in the very centre of Ypres, within the historic city centre and ramparts. All museums, historical sights, nice restaurants and typical shops are at walking distance. At 500m from the market place, the Menin Gate and the museum ‘In Flanders Fields’.